Events that take place over a longer period of time and are mentioned in several articles are presented in a bundled form, in so-called story streams. 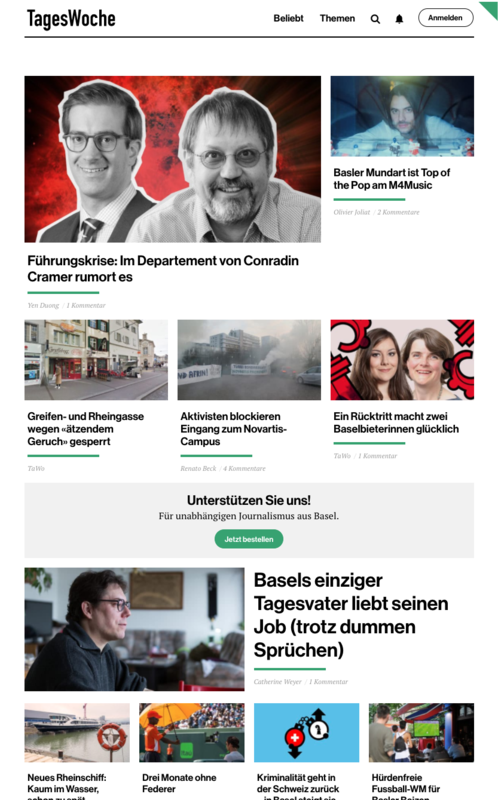 Story streams are displayed on the start page, as well as at the end of all articles in the stream. 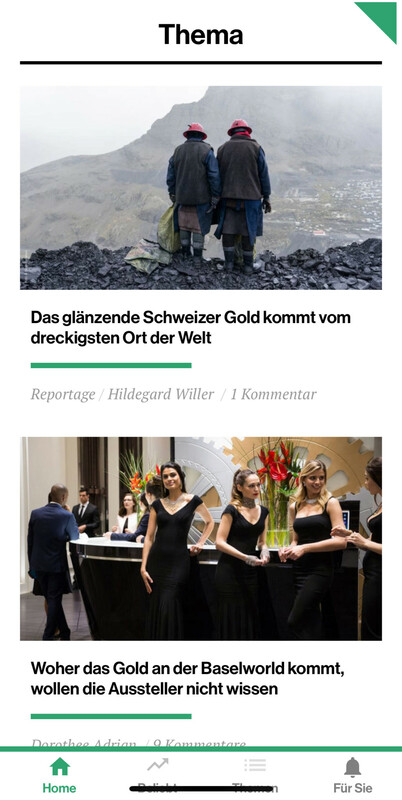 Paying users receive notifications (bell icon), which articles they have missed since their last visit. Additionally there is a notification when their comments have been recommended or they have received replies. 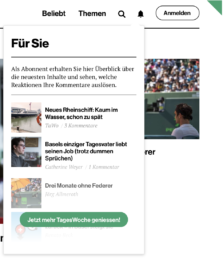 A large number of TagesWoche readers consume their news on smart phones. That’s why we started the redesign with Mobile First Design and extrapolated the designs for large screen sizes (desktop) from there. 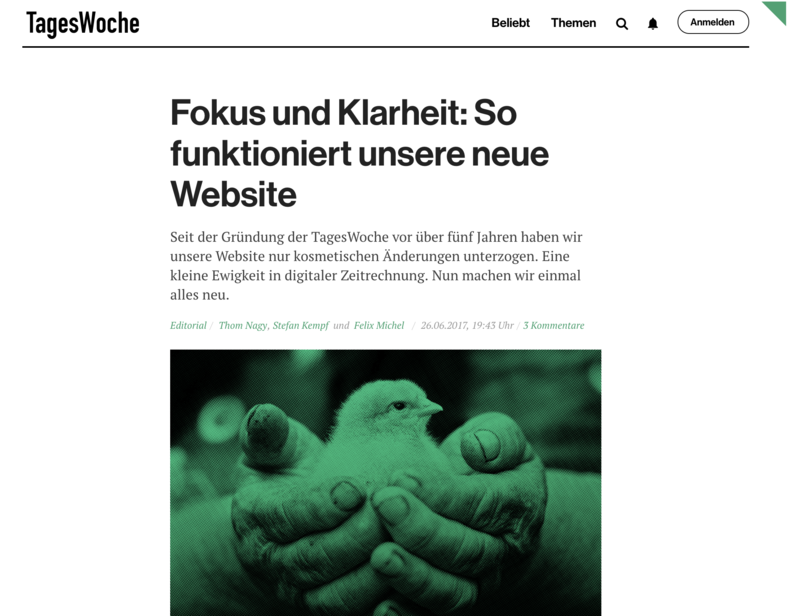 More details about the latest features of the TagesWoche can be found in this german article.